LYON, France, December 3, 2014 (ENS) – Daimler’s new twin wire arc spraying process that reduces fuel consumption and CO2 emissions from combustion engines, has captured another award. On Monday night, the German automaker won the top spot for process innovation in the 2014-15 European Business Awards for the Environment based on the NANOSLIDE® technology. The process involves a thin, low-friction iron-carbon coating that is applied to the inner surfaces of an engine’s aluminium cylinders, enabling fuel consumption to be cut by what Daimler says is “several percent” and CO2 emissions to be reduced by three percent. The EU’s new environment commissioner, Karmenu Vella of Malta, presented the awards at a Monday evening ceremony in Lyon, recognizing companies that combine competitiveness with respect for the environment. The EU’s environmental goods and services sector has continued to expand, even during the recent economic downturn, said Vella. An expanding global market means eco-industries can expect to enjoy significant export potential, in addition to wider demand within the EU, he said. During the NANOSLIDE® process, twin wire arc spraying is used to apply an extremely thin iron-carbon alloy coating to the inner surfaces of the cylinders of aluminium crankcases. To coat cylinder running surfaces with layers just 0.1 mm thick, two consumable steel wires are fed into a rotating torch, where an electric arc melts wire within nitrogen, accelerating liquid metal directly to the cylinder wall. These droplets solidify into a nanocrystalline layer, which is then honed. This produces a nano to ultra-fine, highly wear-resistant material structure with micro-porosity that captures small amounts of oil and ensures effective lubrication. The result is a mirror-smooth surface that reduces friction between piston, piston rings and cylinder wall by up to 50 percent. This means that the millimeter thick heavy cast-iron liners, previously used to absorb this friction, are no longer needed. Since up to 25 percent of fuel energy is used to overcome in-engine friction, a reduction in fuel consumption of several percent is attainable. And several kilograms of weight are saved, further reducing fuel consumption. The NANOSLIDE® process also garnered Daimler brand Mercedes-Benz a slot in the R&D 100 this year. In November, The U.S. tech-specialist publication, “R&D Magazine,” chose NANOSLIDE® as one of the 100 most important new high-tech products. In 2013, Mercedes-Benz introduced this patented technology in the U.S. market with the V6 turbocharged petrol engine. The prestigious R&D 100 Award was presented to Mercedes-Benz and partner Heller Maschinenfabrik GmbH on November 7 at a ceremony in Las Vegas, Nevada. Heller Maschinenfabrik from Nuertingen, Germany, a manufacturer of machine tools and complete production lines, developed all stages of the NANOSLIDE® process into a global application for mass production and industrialization. Heller integrates the process, including the process steps for preparation and review, not only in the process-chain but also during engine production, ensuring quality and reliability. NANOSLIDE® is being applied to 4-cylinder and 8-cylinder engines in the latest generation of Mercedes-AMG vehicles. 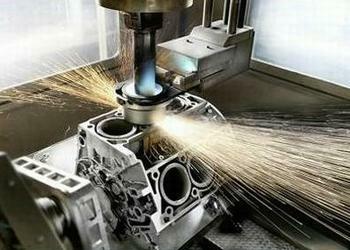 NANOSLIDE® was used in producing the current Mercedes Formula 1 turbo V6 engine. According to R&D Magazine, the technology played a key role in the recent Formula 1 double victories which help seal the Constructors’ World Championship 2014 title for a Mercedes-Benz Silver Arrow even before the end of the racing season.